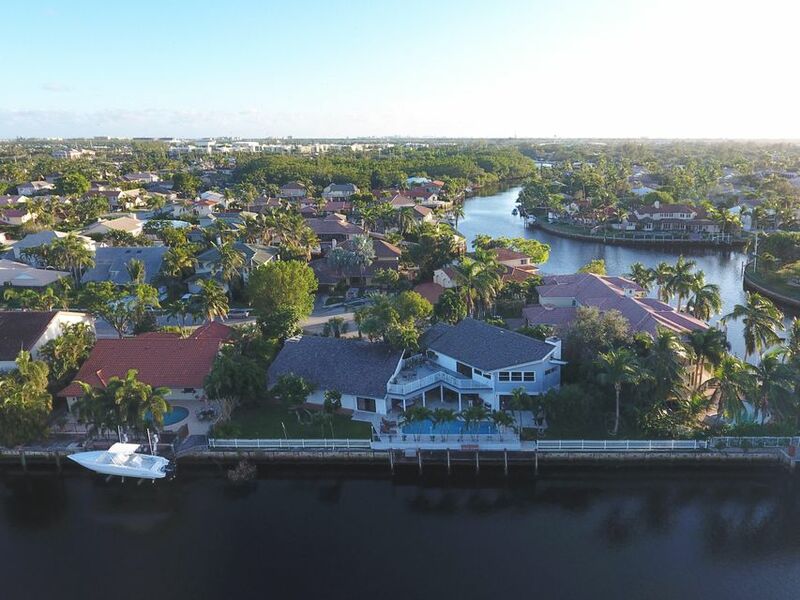 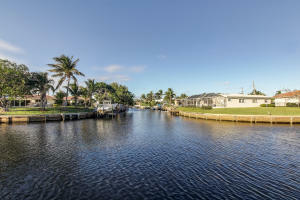 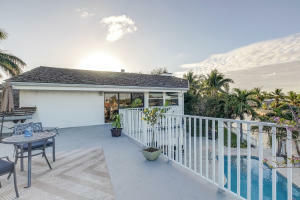 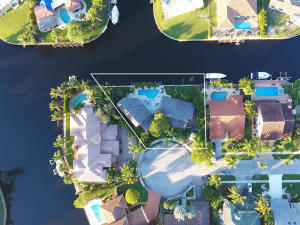 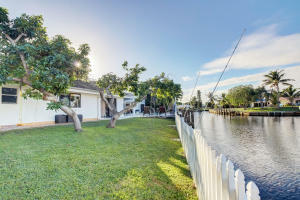 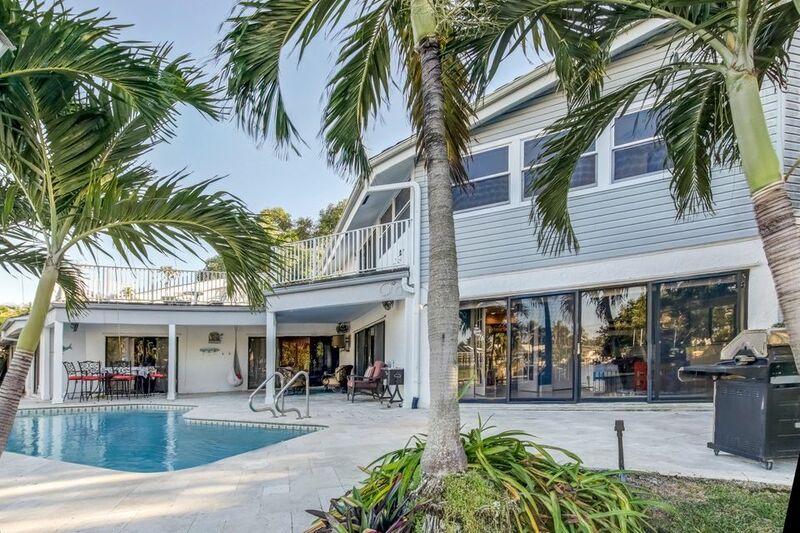 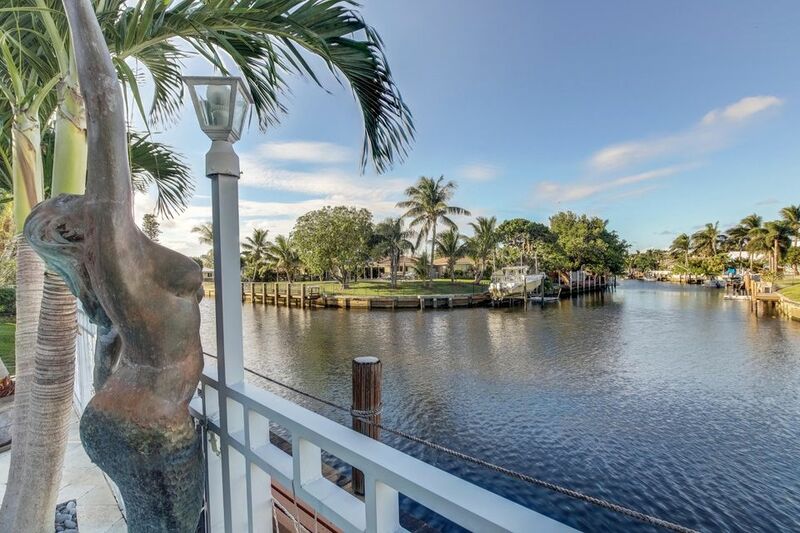 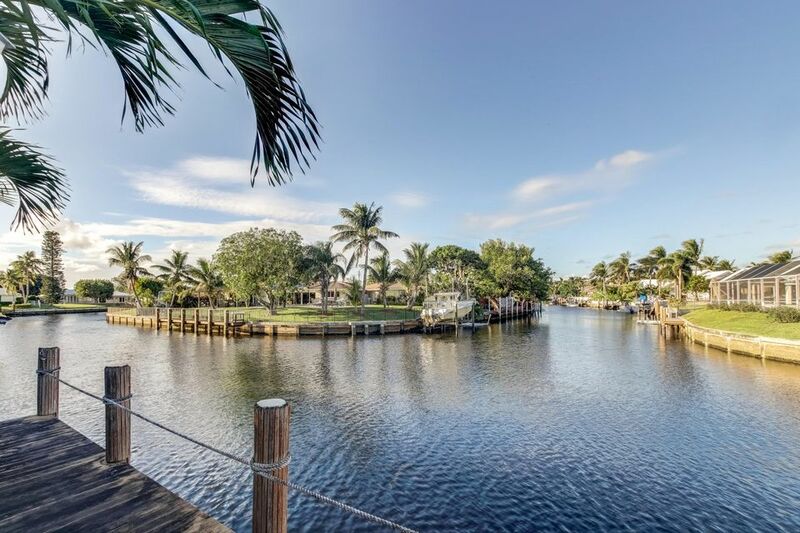 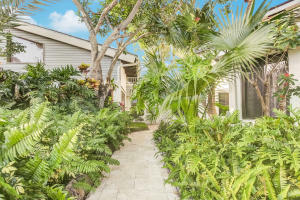 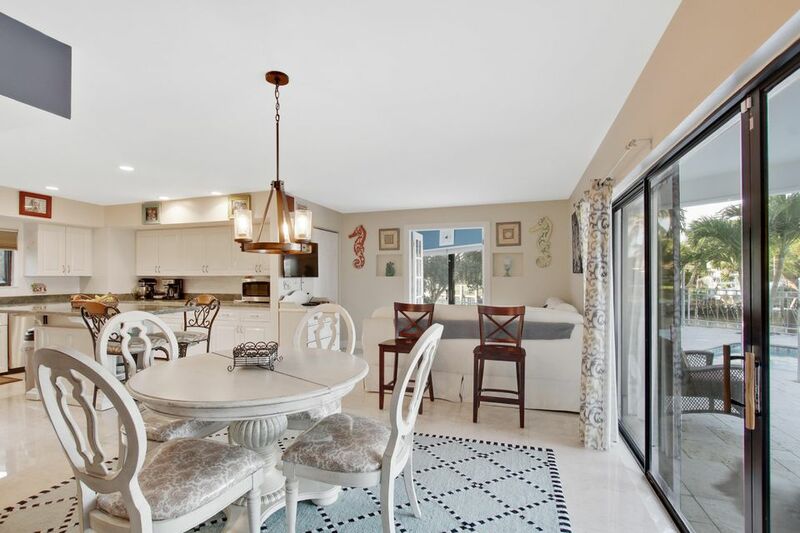 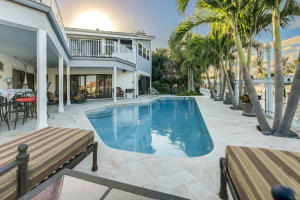 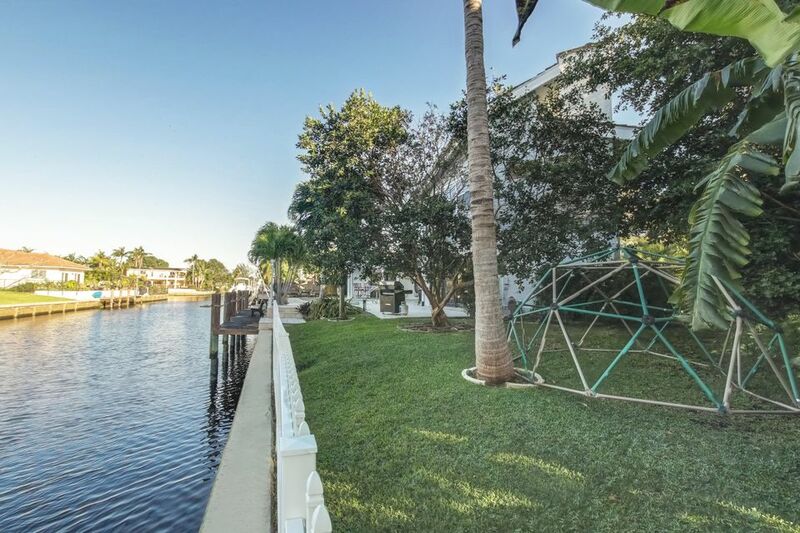 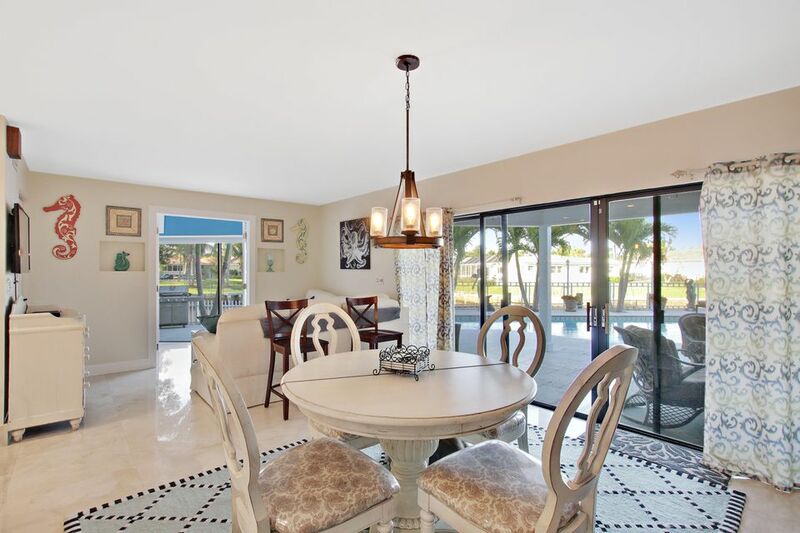 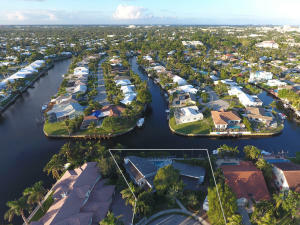 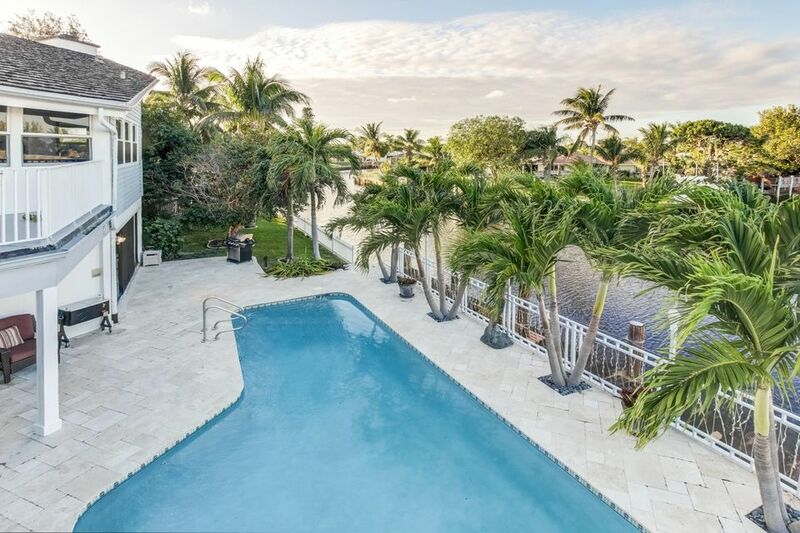 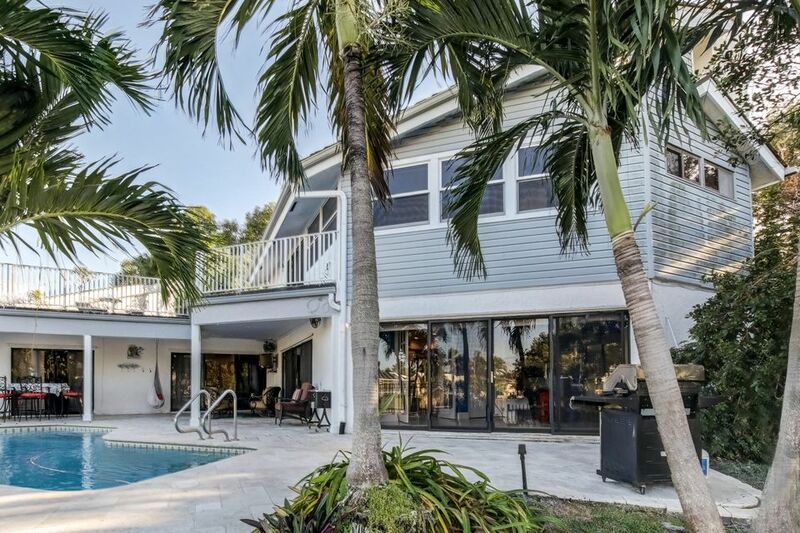 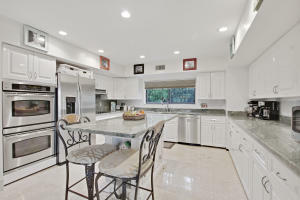 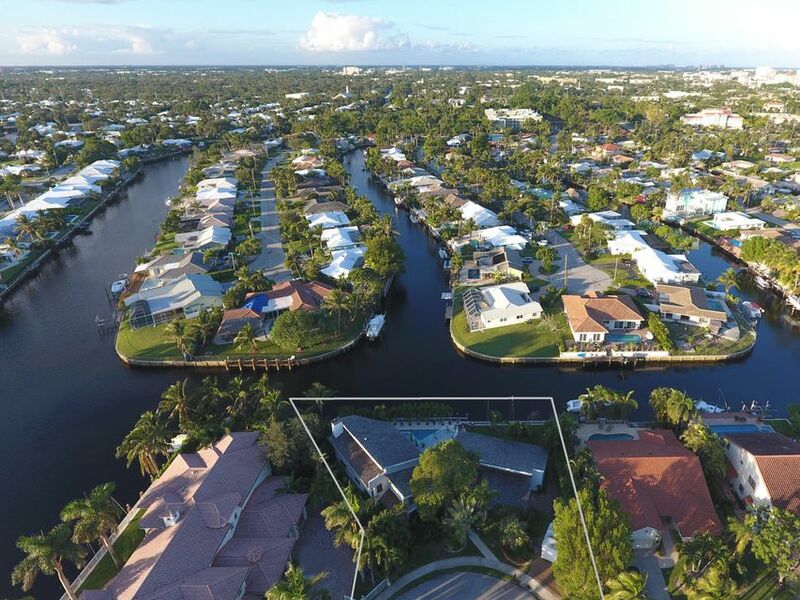 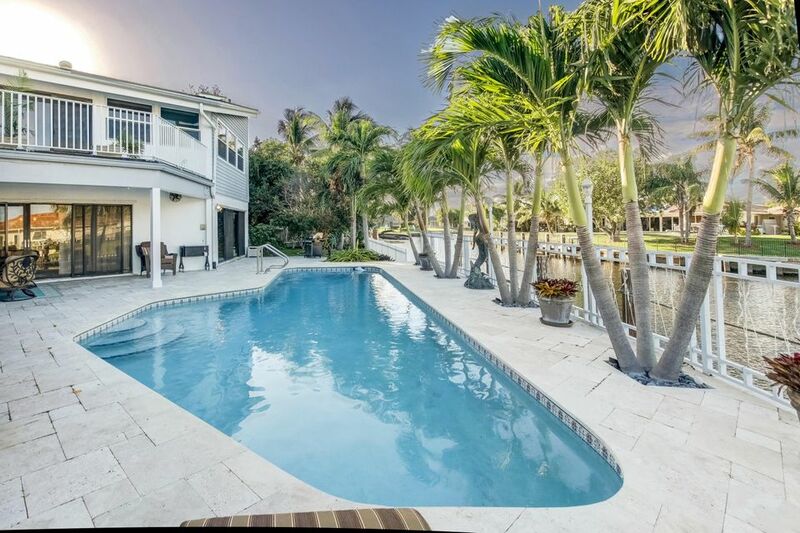 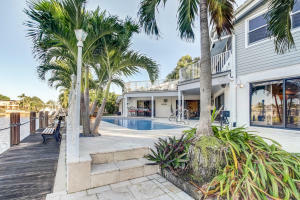 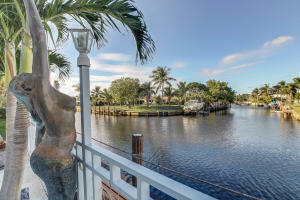 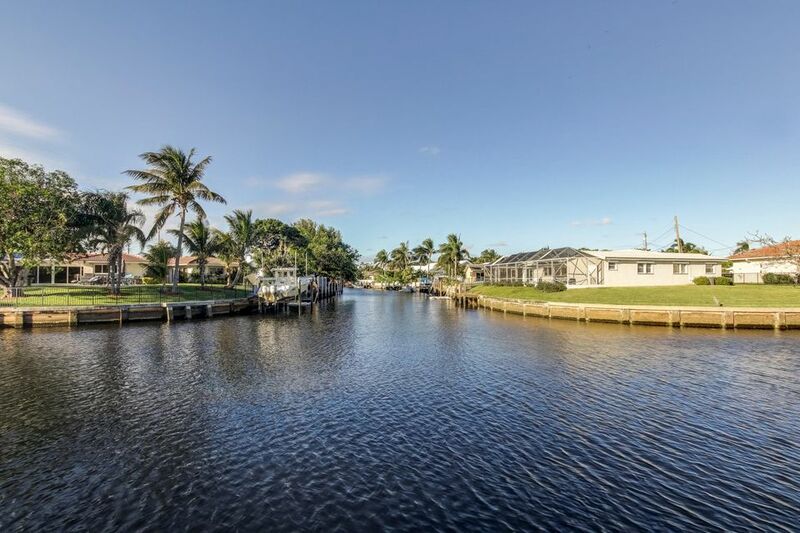 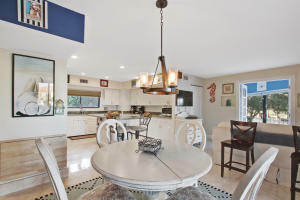 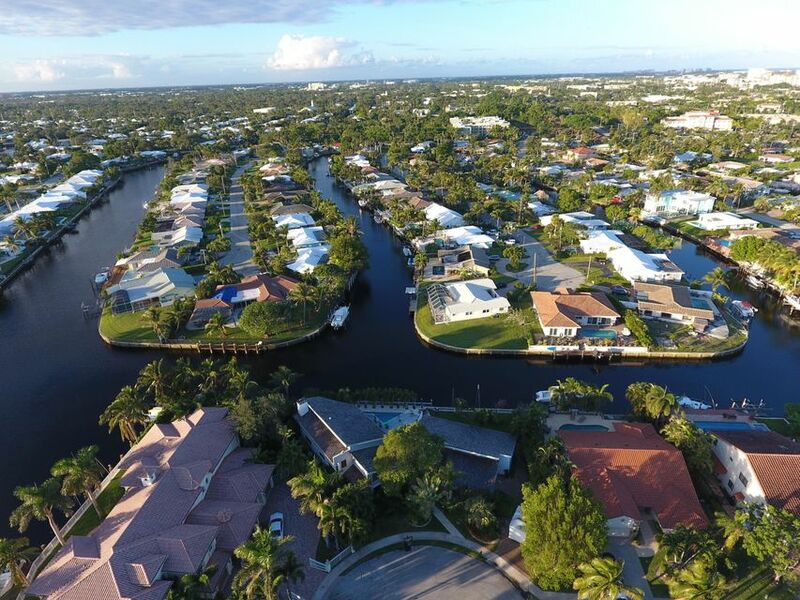 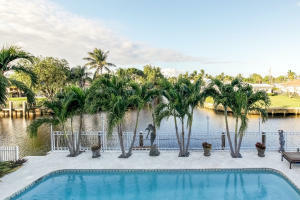 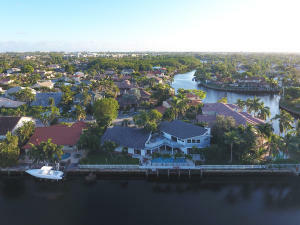 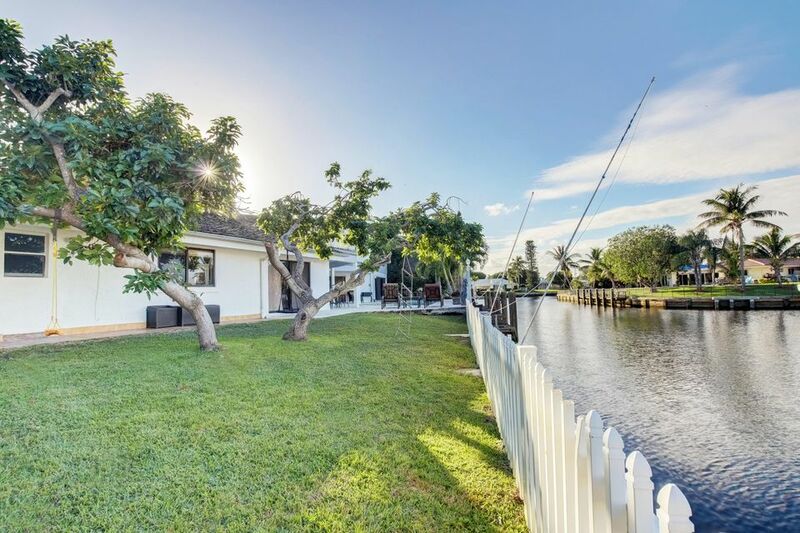 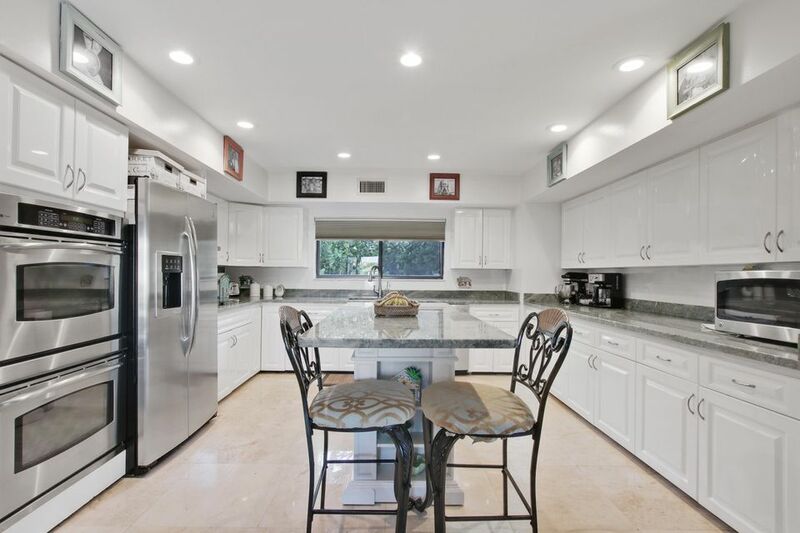 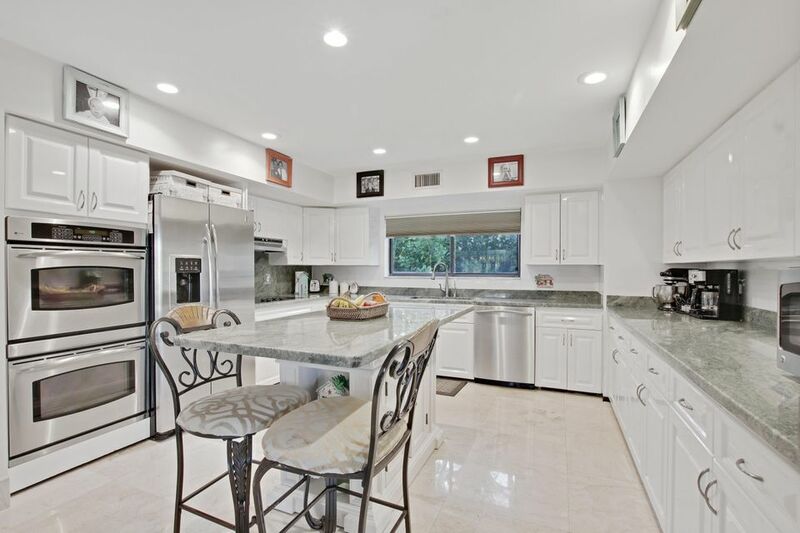 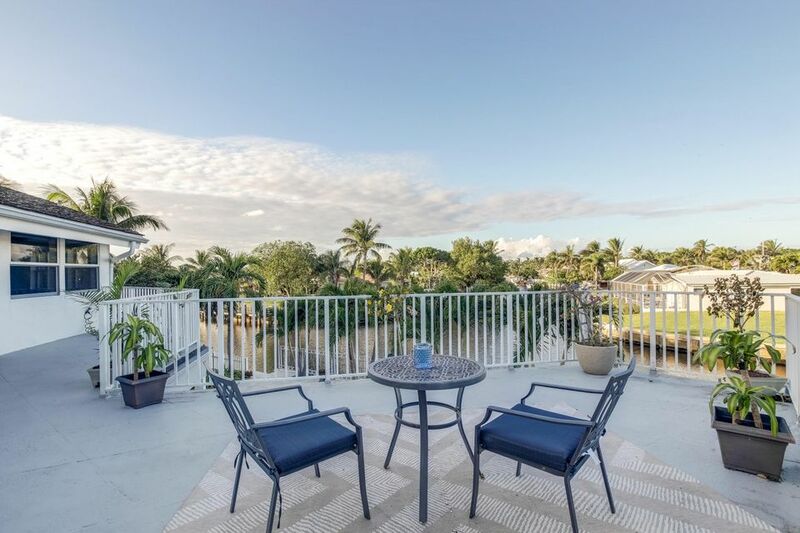 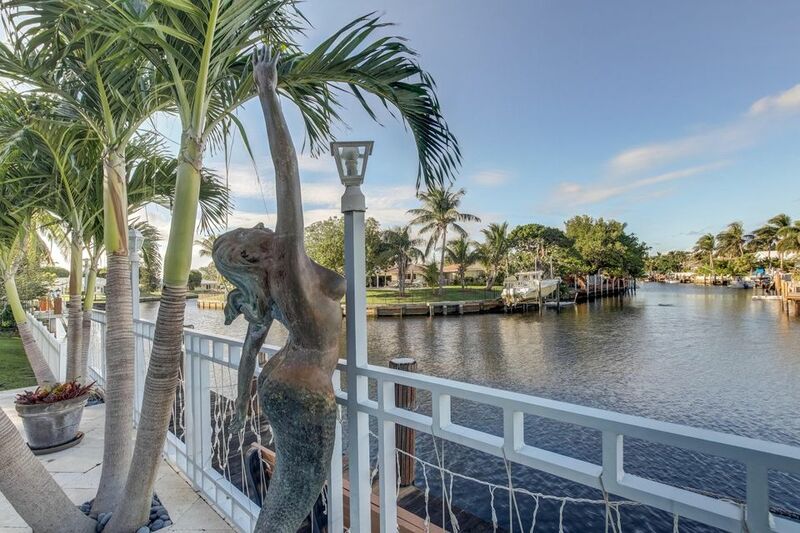 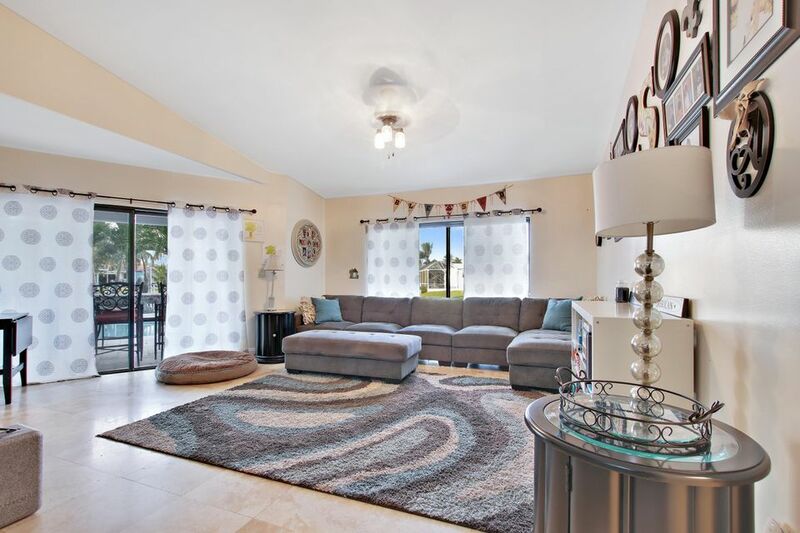 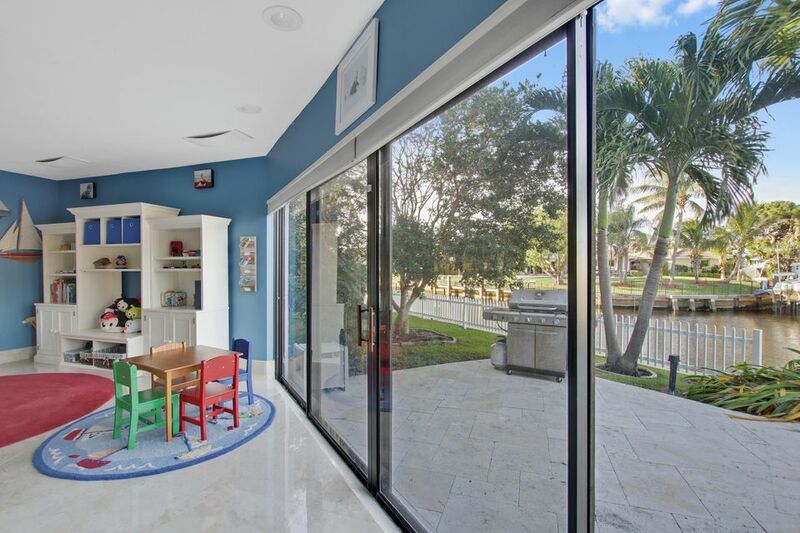 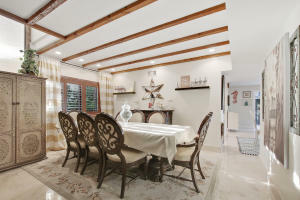 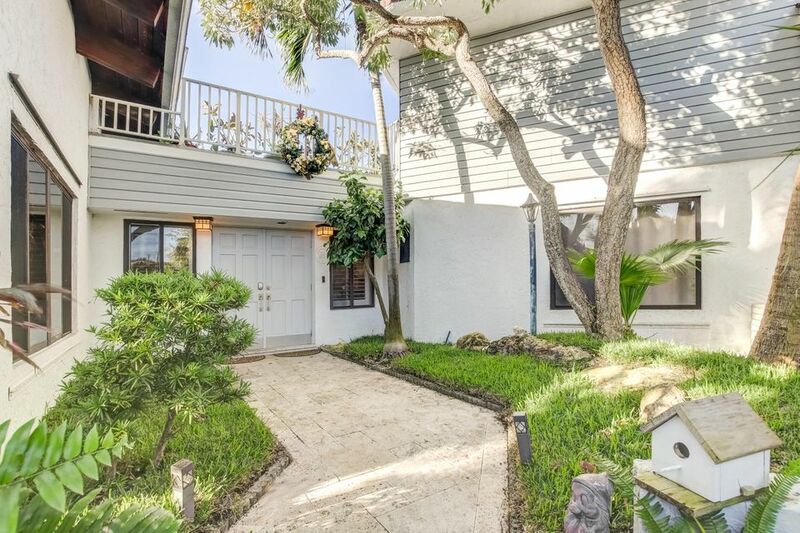 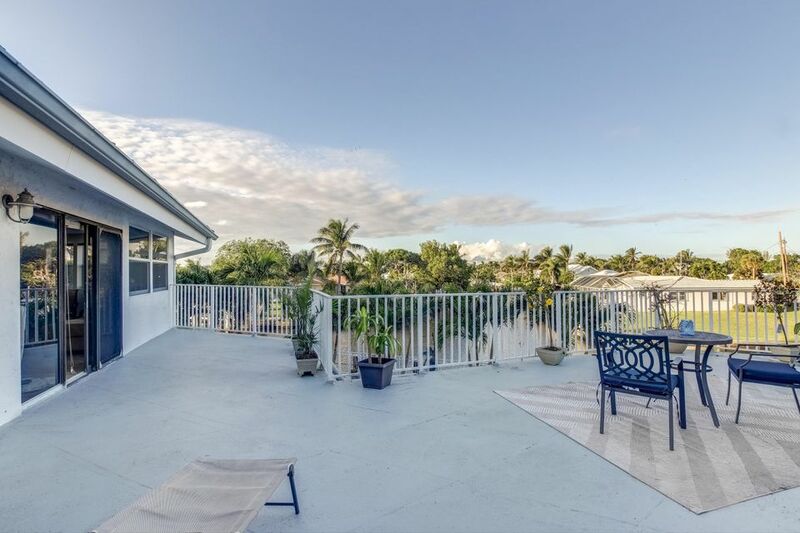 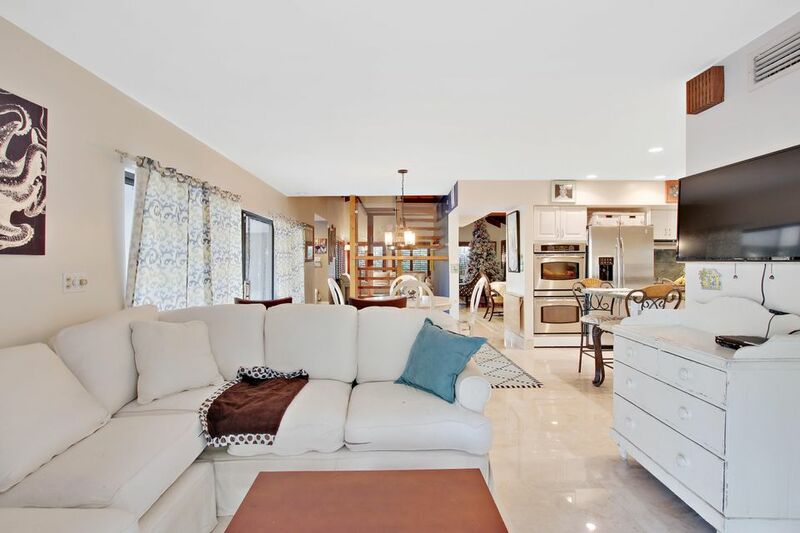 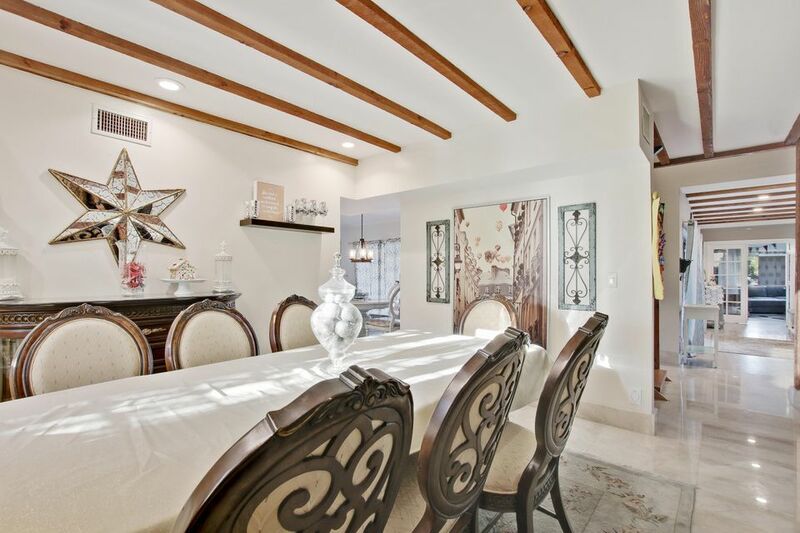 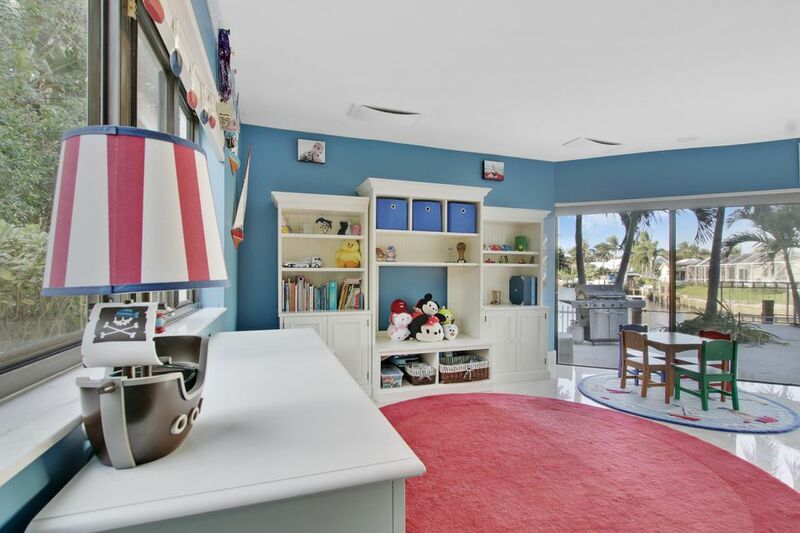 Located in very desirable Estoville in East Boca, and situated on a fantastic cul de sac, this incredible home is on 178ft of water with ocean access and includes a 50' dock. 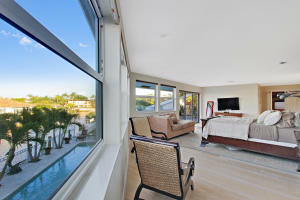 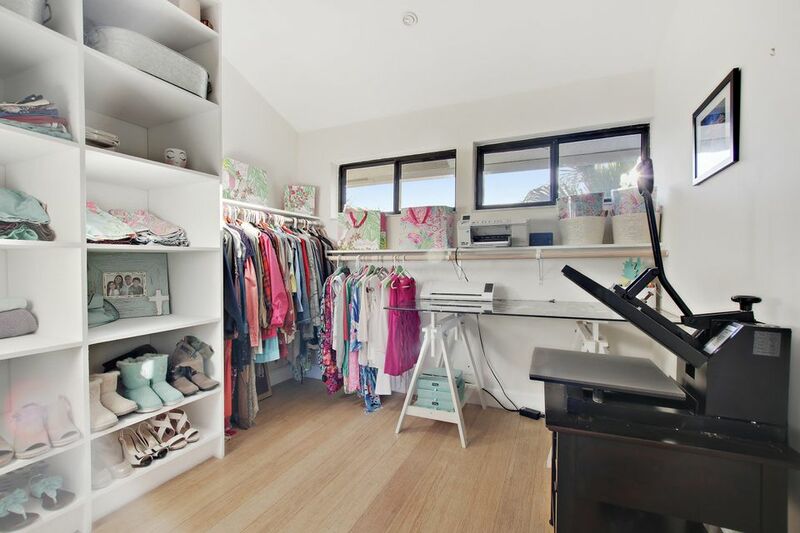 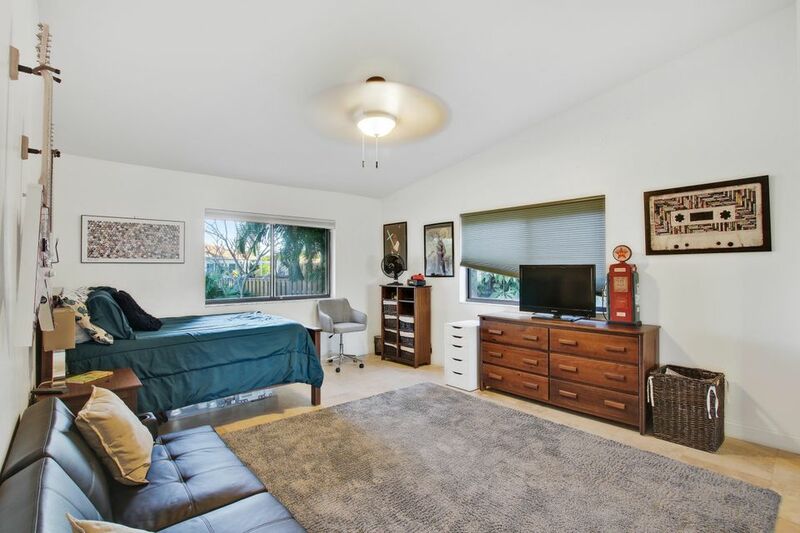 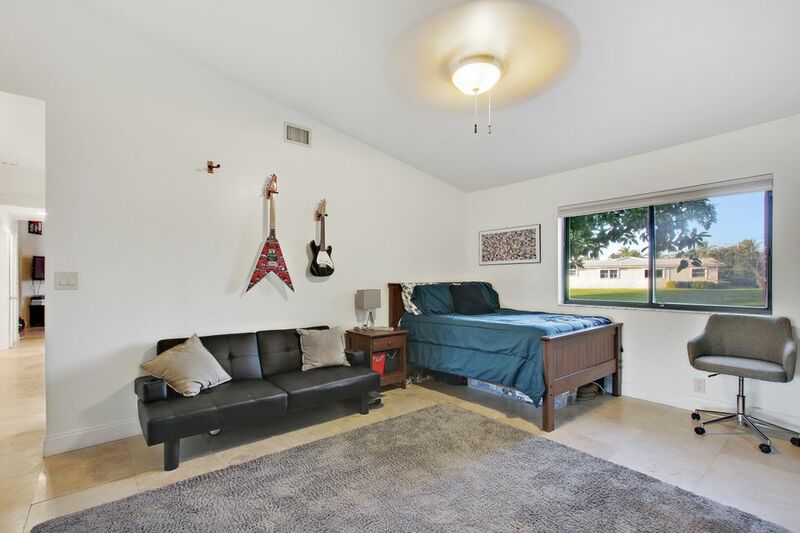 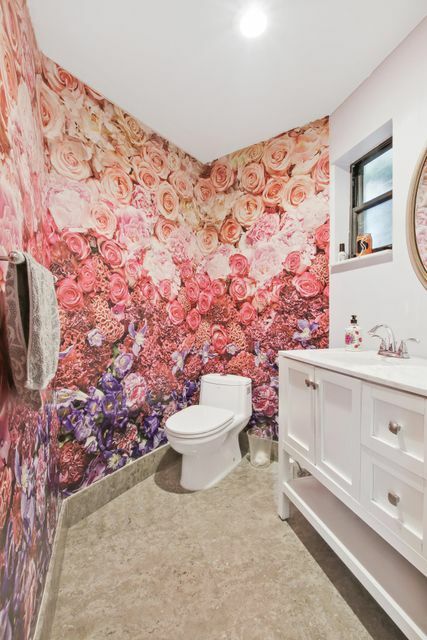 There are 4 spacious bedrooms. 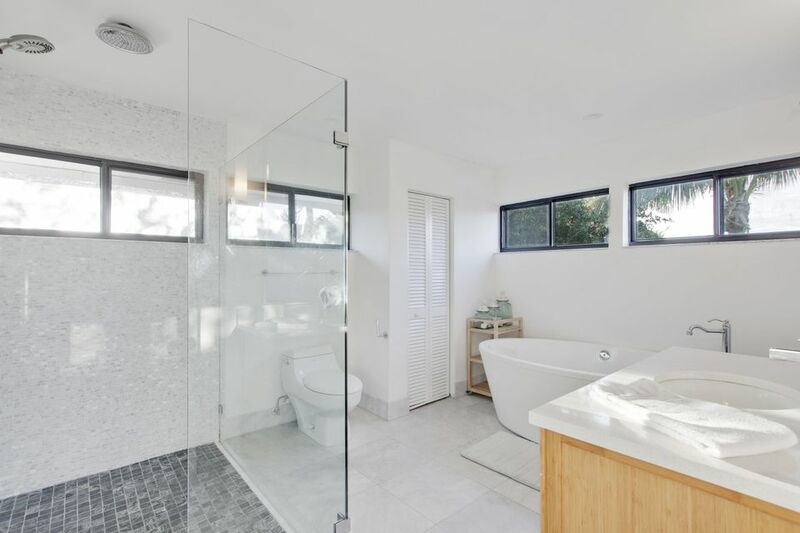 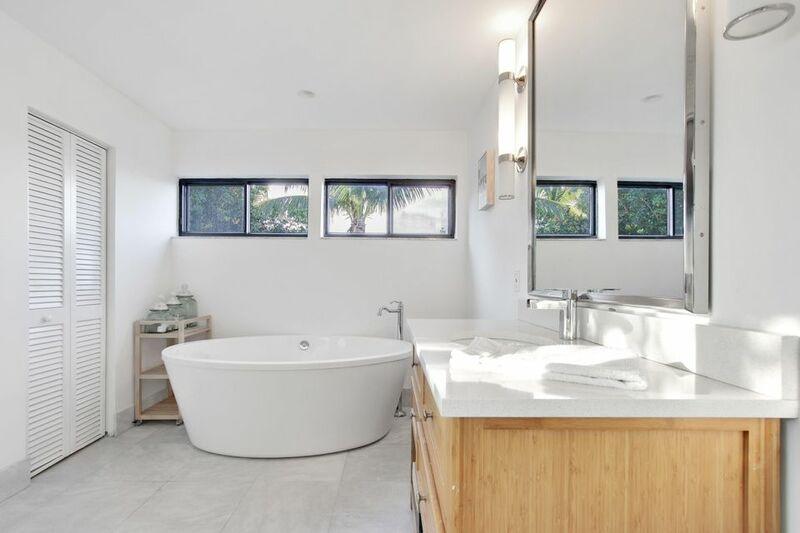 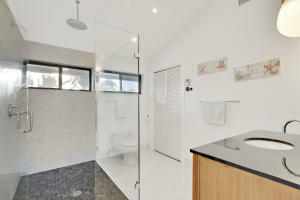 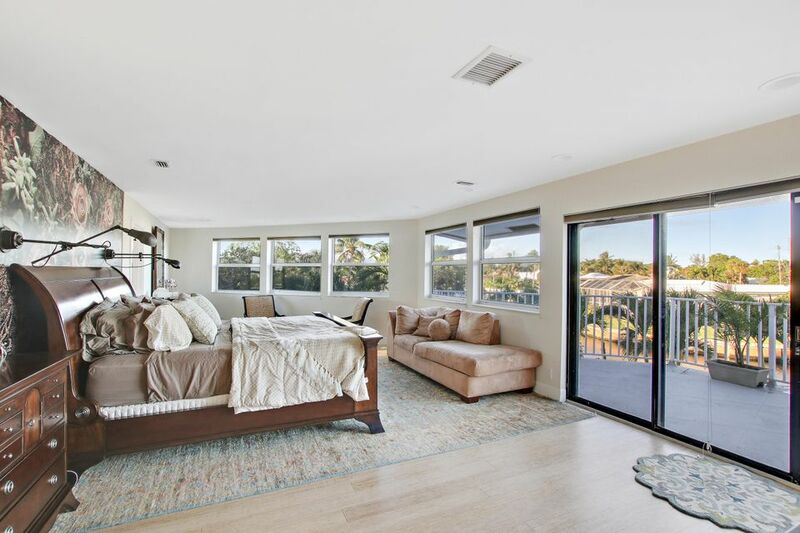 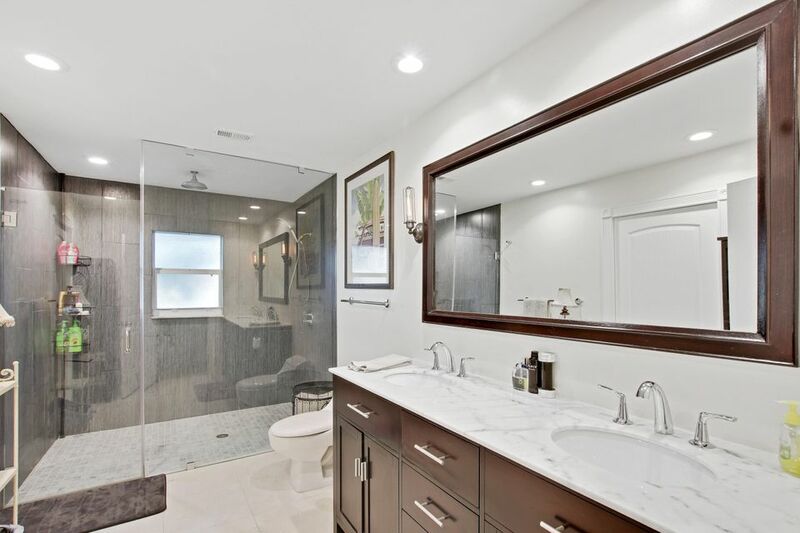 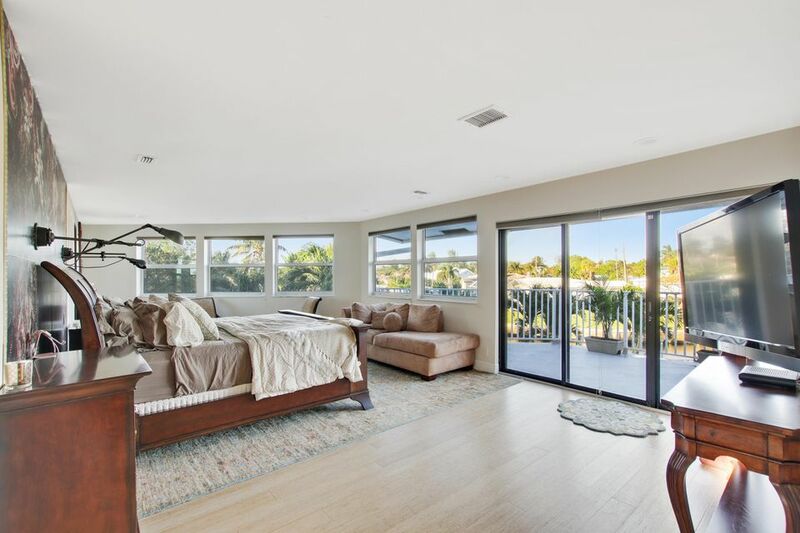 The master suite has his and her bathrooms and closets and is located on the second floor for complete privacy, with a large deck overlooking the magnificent water views. 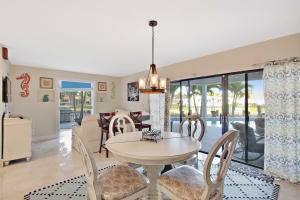 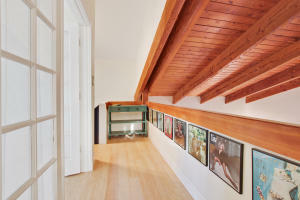 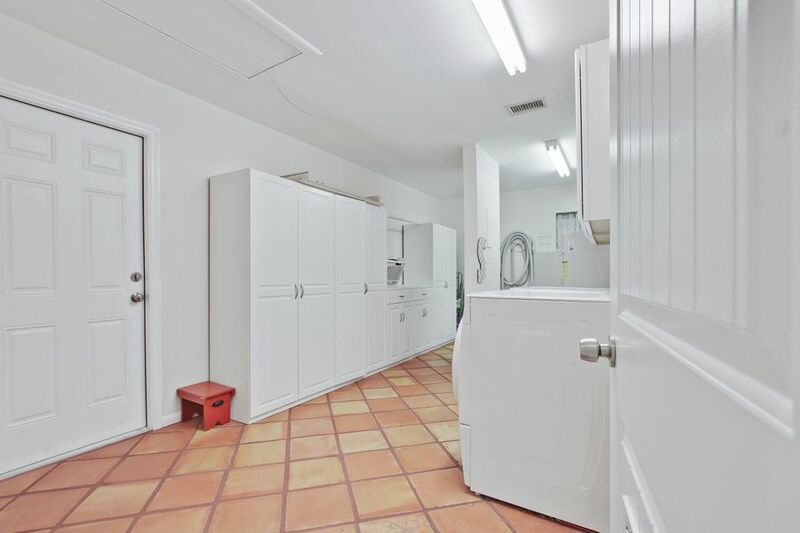 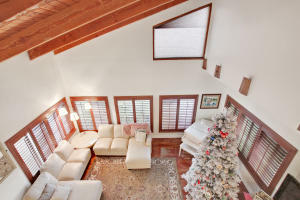 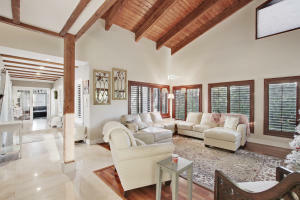 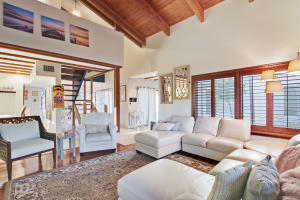 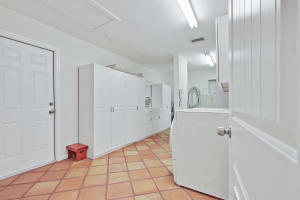 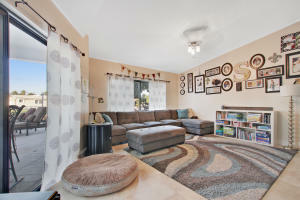 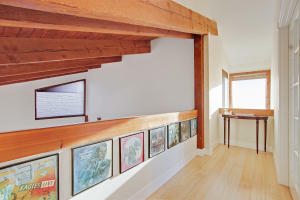 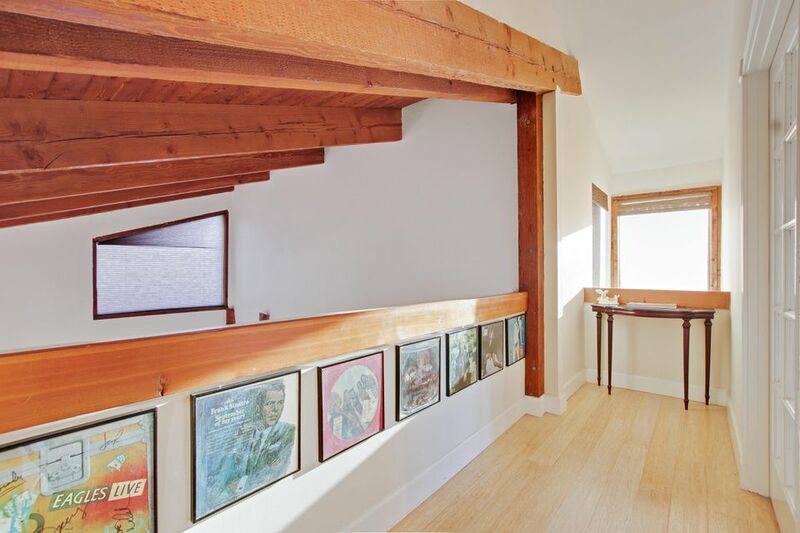 The home has a split floor plan downstairs and over sized living spaces. 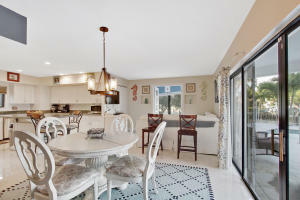 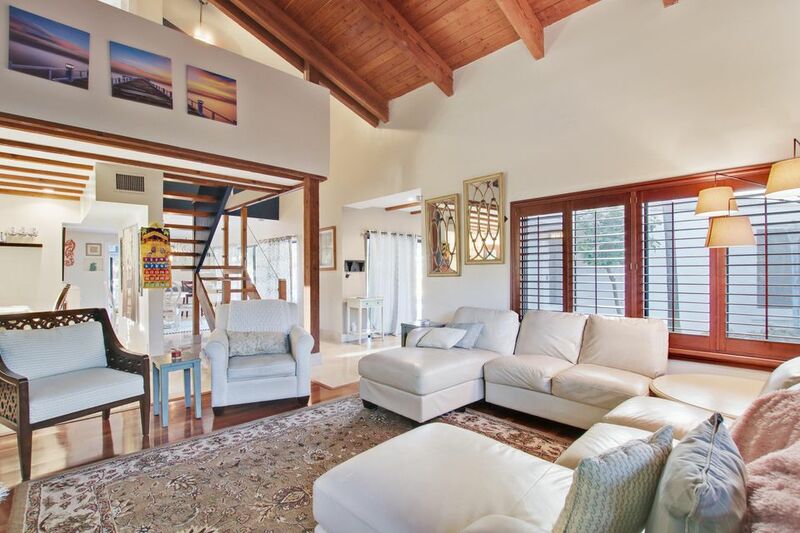 A separate dining room and living room with vaulted ceilings gives this home a lot of character. 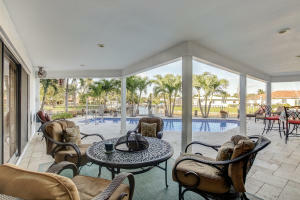 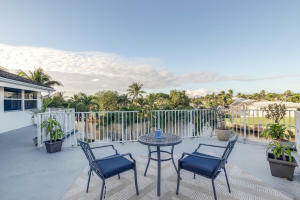 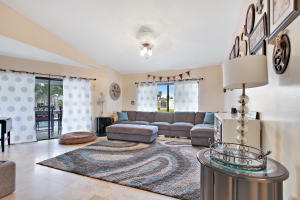 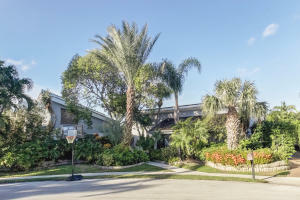 A fantastic, large yard with plenty of grass and a great pool area makes for perfect Florida living. 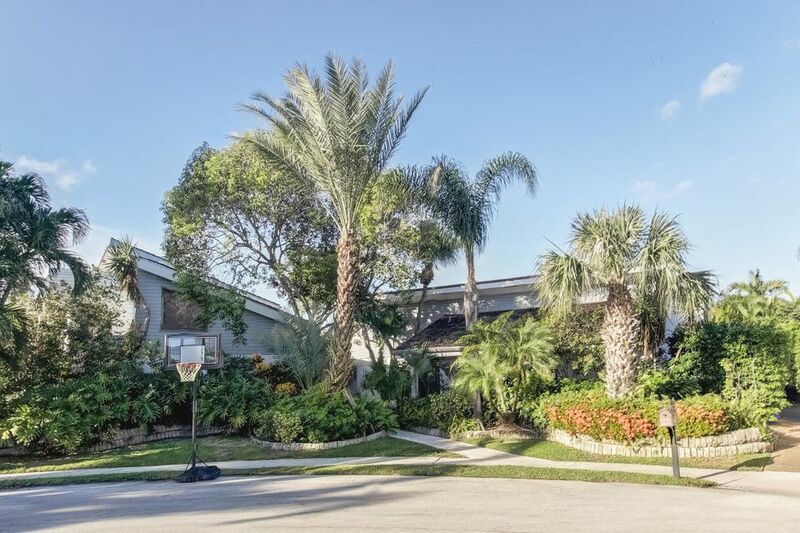 Camino Real west of Federal to SW 2nd Ave to SW 15th Drive. 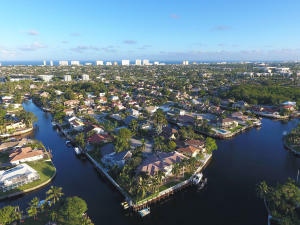 Right to SW 15th Ave right to SW 15th Street. 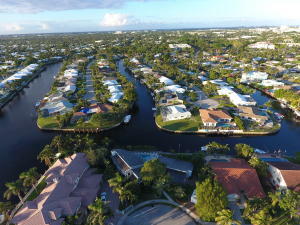 Left to house on right in Cul De Sac.